From one holiday to another, this is a week of festive music, seasonal or otherwise. Even Christmas Day is filled with some great jazz. Today (12/25), from 4 pm til the wee hours, you can “weather the storm” with nonstop headliners at the Dakota. Start at 4 with the best happy hour around—Peter Schimke and Irv Williams, reprising the music that made their Duo recording such a hit. 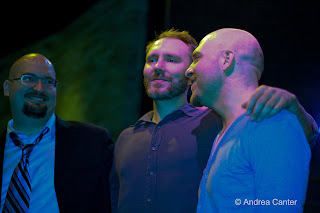 Next, the Bad Plus open their 3-day residency with two hot sets, while another internationally acclaimed trio, Fat Kid Wednesdays, caps off the evening (and early morning) from 11:30 pm. If that doesn’t melt the snow, nothing will. You can also catch the Bad Plus Saturday or Sunday (12/26-27). The very hot Atlantis Quartet, still steaming from their recent CD release, take the Late Night stage on 12/26. 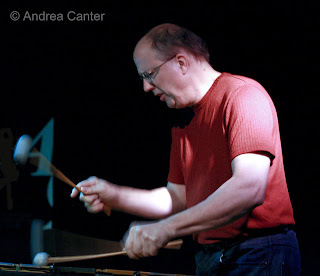 Saturday night across the river brings the annual holiday gig with Bill Carrothers at the Artists Quarter. He’s joined by frequent local cohorts Billy Peterson and Kenny Horst, and we can always count on an evening of unbridled invention, humor, and surprise from one of his generation’s most potent improvisers and composers. Young artists are at the forefront this week, some just in the area visiting family as well as others who are emerging as leaders on the local jazz scene. Sunday night (10/27), a triple bill at Rogue Buddha Gallery in NE Minneapolis highlights a number of these talents, starting at 4 pm with a set from the Joe Strachan Trio (with Cory Grinberg and Cam LeCrone). Joe, the 2009 winner of the Schubert Club/Dakota Foundation Jazz Piano Competition, is studying at the Lawrence University Conservatory, while Cory is pursuing bass studies at Northwestern and Cam is finishing high school and handling the drumkit for the Dakota Combo. Joe and Cory will join up with three other young up-and-comers as the Metropolitan Port Authority (Jake Baldwin, Remy Tahgavi and Isaac Zuckerman) for the third set at the Buddha, while a veteran trio headed by Adam Linz will hold down the middle set. Newly launched young professionals are featured as the Young Lions Showcase at the Dakota Monday night (12/28): Pianist Paris Strother (now in LA), twin sister vocalist Amber (also in LA); trumpeter John Raymond (now at SUNY Purchase in New York); bassist Chris Smith (finishing his degree at the New School in NYC); drummer Brandon Commodore (touring with Mint Condition and Sounds of Blackness); and sister vocalist Ashley (finishing at DePaul University and appearing with Sounds of Blackness). Anyone wondering about the impact of jazz education will find plenty of evidence with this performance! New professionals and young veterans abound at the Clown Lounge, now booking modern and experimental music Monday and Tuesday nights. On 12/29, Poutums (Chris Thomson, Adam Linz and Alden Ikeda) share the bill with young trumpeter Adam Meckler and his quintet. The Big Gigs on Wednesday (12/30) include the always-popular New Standards at the Dakota and the teacher/former student duo of Dave Hagedorn and Dan Cavanagh at the AQ—a seldom-heard pairing of vibes and piano that promises to be one of the season’s highlights. 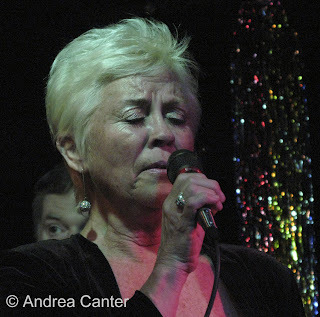 As usual, there are fine voices to be heard throughout the region this week: Erin Schwab at Hell’s Kitchen (12/26); Charmin Michelle with Rick Carlson at the West End Crave for brunch, and in the evening with the Jerry O’Hagen Orchestra at Cinema Ballroom (12/27); Connie Evingson’s Holiday Songbook at the Jungle Theater (12/27); Charmin Michelle with Denny Malmberg at Fireside Pizza (12/28 & 12/30); Rachel Holder at Hell’s Kitchen (12/29-30); Debbie Duncan with Mary Louise Knutson at Camp Bar (12/29); Christine Rosholt at Honey (12/30); Nancy Harms and the Hot Swing Trio at Erte (12/30). And chamber jazz is alive and well, with Joann Funk and Jeff Brueske offering jazzy duos in the St Paul Hotel Lobby Bar (Fridays and Saturdays as well as New Year’s Eve); the Benny Weinbeck Trio at D’Amico Kitchen in the Chambers Hotel Friday and Saturday nights; the Zacc Harris Trio in the Riverview Wine Bar every Sunday night. There’s too much going on New Year’s Eve to list here (see Jazz Police, Twin Cities page for a full accounting), so I’ll mention only two: For a big splurge and perhaps the classiest party, the Dakota Jazz Club offers three waves of music and three levels of tickets – solo piano from Paris Strother at 5:30 pm, a dinner show with the Steeles at 8 pm, and a cocktail show with Irvin Mayfield’s Quintet (part of NPR’s Toast of the Nation) at 10:30 pm (you can get dinner, cocktail or both show tickets). Across the river is my favorite NY Eve jazz party, more down-home, casual, and less likely to seriously add to your holiday debt-- the annual Artists Quarter party with Carole Martin and the Irv Williams Quartet, complete with light buffet, noisemakers, hats, and some blues at midnight. Both of these events require advance reservations. Coming soon? 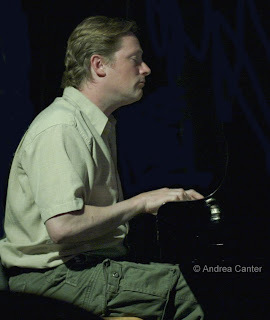 Billy Franze Quartet at the AQ (1/2); Christine Rosholt , Leslie Ball and Dave Singley celebrating birthdays at the Dakota (1/5); Milo Fine CD release at Art of This Gallery (1/5); Triplicate in a rare performance at Hell’s Kitchen (1/7); Nellie McKay at the Dakota (1/6-7); Dakota’s Django Fest (local hot clubs on 1/17; Dorado Schmitt 1/18-19; Mark O’Connor 1/20); Jon Weber at the AQ (1/22); Roy Hargrove at the Dakota (1/24-25); X-Tet with Kelly Rossum at the AQ (1/28-29); Kelly Rossum Quartet, Dakota Late Night (1/30); Ahmad Jamal at the Dakota (2/21-23). Also look forward to hearing Christine Rosholt, Arne Fogel and Maud Hixson on a regular basis at the new Honey (old Jitters location) in 2010.